Raw milk yogurt is a sort of holy grail for traditional foods enthusiasts, coupling the enzymatic and probiotic components of both fresh milk and fermentation in one glorious, creamy, lovely food. Served over baked oatmeal or soaked oatmeal porridge, on its own or as a basis for savory dipping sauces, a good yogurt can find its way to nearly every meal if you let it. Raw milk yogurt, thanks to the effects of food enzymes, has a tendency to be a touch runnier than the stuff you find in grocery stores or what you might make in your own kitchen from boiled or pasteurized milk. For this reason some of the very best raw yogurt is prepared using a combination of fresh cream and fresh milk rather than milk exclusively. If you follow the fermentation process with straining, as you would for labneh, the resulting product would be even thicker and creamier and you could, in turn, use the accompanying whey in properly preparing grains and flours through soaking or even as an addition to your morning smoothie. In preparing a classic, or thermophilic, yogurt at home with raw milk, you do need to heat the milk slightly and culture it in a warmed environment. We heat the milk only to 110° Fahrenheit (about 43° Celsius) which keeps food enzymes and naturally occurring beneficial bacteria intact and thriving. Other cultured dairy foods ferment at room temperature and can also be made with raw milk. I also recommend culturing with Bulgarian or Greek starters which are available online (see sources) and which produce a rich, tangy and super creamy product. Raw milk yogurt is deeply nutritious and deeply satisfying, combining the wholesome nutrients found in fresh milk from grass-fed animals such as conjugated linoleic acid and fat soluble vitamins with the benefits of friendly bacteria and food enzymes. It is a fresh and simple luxury. Take care to read the notes at the bottom of this tutorial which provide a little more information on working with and making raw milk yogurt at home. Heat milk in a saucepan over a medium-low flame until it reaches about 110° Fahrenheit / 43º Celsius. Remove from heat and whisk in 2 tablespoons thermophilic starter culture such as Bulgarian or Greek starter (see sources), or use two tablespoons yogurt from a previous batch to inoculate the raw milk. If you’re using a yogurt maker, simply pour the mixture of fresh milk and starter into the yogurt maker and culture it according to the manufacturer’s instructions for about eight to twelve hours. If you’re using a food dehydrator or slow cooker, first pour the mixture of starter and raw milk into a 1-quart glass mason jar and cover it with a lid. If you’re using a slow cooker or cooler, place the mason jar full of milk and starter in the center of your slow cooker or cooler and pour warm water (approximately 110° Fahrenheit, 43º Celsius) into your the ceramic insert or until it reaches just below the lid of your mason jar. Cover with a warm towel for added insulation and leave in a warm spot in your kitchen to culture for eight to twelve hours. If you’re using a food dehydrator, simply place the mason jar full of starter culture and milk into the food dehydrator, set the temperature to 110° Fahrenheit / 43º Celsius and allow it to culture for eight to twelve hours. Once the culturing period of eight to twelve hours is complete, remove your still warm raw milk yogurt from the yogurt maker, slow cooker, cooler or dehydrator and place it in the refrigerator to chill and solidify for an hour or two. Serve plain as a sauce, combined with fresh fruit or nuts or sweeten it, if desired, with a touch of honey or maple syrup. If I use the slow cooker, do I turn it on to Low or High, or just put it all in according to the directions and let it sit? I discovered something interesting. I leave raw milk to sit out unrefrigerated for about a day and a half without adding any culture. As soon as it thickens, separates from the whey and turns into a Kefir like substance, I strain it and end up with home-made Ricotta cheese – curdles and all. Which I then refrigerate. It is delicious and even the dog loves it. Even though we all enjoy it and nobody has gotten sick yet – I still worry because I’m leaving milk to sit out for so long at room temperature without adding cultures. Does anyone have any advice on this? I think it’s the cultures and enzymes that already exist in the milk that are causing this. I think this is how people used to make cheese in the old days? Anna – that is exactly how you make traditional cream cheese! I do the same thing with my raw milk, it is completely safe and full of beneficial probiotics. 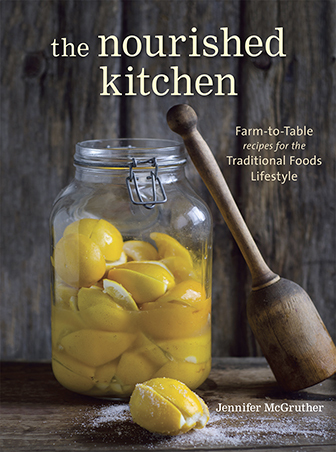 The MOST practical info I’ve found for making yogurt, kefir, and creating cultures for cultured foods—THANK YOU!! You just put in all in a nutshell for me! Thank you! Is whey the liquid you get when you leave the milk out and take out the kefir or what you get when you further strain the kefir? I have done this with my homemade (non-raw) yogurt, but this sounds like it produces a lot more whey. But now, I want to try and do everything raw. That’s called “bonnyclabber” and I do it all the time! Re: Raw Milk Safety. It all about the source. If the farmer is diligent about cleanliness throughout the process, there should be no problems in the milk itself. There is always a huge array of bacteria in everything-the objective is to keep the bad stuff at bay-refrigeration obviously, but also keeping such foods tightly enclosed as much as possible, will minimize risks. I’ve been buying milk right out of the tank at my neighbor dairy farm for almost 30 years and have never yet had a problem-maybe just dumb luck. Also if you drink raw milk regularly, your body builds up resistance to the occasional minor “bug” that comes by. Enjoy! Leaving raw milk out for one day is an old Northern European method (Scandinavian) to make a thickened substance. It is completely safe, at least in any clean climate like Scotland. This is what my father told me, but since raw unpasturized milk has been banned in our country, it can not be done anymore. That’s a pity it’s banned in Scotland Peter. I get my raw dairy from a local organic farm in England and make ” bonny clabber milk” or curds and whey all the time. It is delicious and so healthy. I had a recipe for yogurt that said to bring my milk to the boil and then cool to 40 degrees. As soon As I heated the milk or separated into curds and whey. Do you know why this happened? Can I still maker ogurt from it? I just took some raw cows milk from the local dairy which has been hiding in the back of my fridge for a couple weeks, took about 1/2 the cream on top off, and poured the milk into a pitcher (12 cups) whisked in 1 cup greek plain yogurt from a Krogers brand, so it might have darned additives, heated it in the microwave til lukewarm, poured in little 1 cup mason jars, and took them out, put the lids on, set them together with sides touching on a pizza pan wrapped in dish towels, but not over the top. I heated the oven to 150 degree, then turned off, turned oven light on, and put the pan on the middle rack. I will check on it tonight, but I think it will probably culture after a day, like buttermilk culture. This is an experiment. I have made yogurt the traditional way, heating it to 165 and I wanted to try something different with raw milk as to not kill good bacteria. I may have waited too long to use this milk _ I was afraid to try it. So it may not turn out, if not, I have buttermilk or strain it and have ricotta and use the whey for cooking or something? THANK YOU ALL – I WISH I HAD COME TO THIS WEBSITE SOONER! Will let you know how my experiment works, and if it’s runny, I may add AGAR or PECTIN, or powdered milk. Stevia to sweeten too. Karen, Raw milk can be fine in the fridge up to two weeks, but that is the outside before it will start to be “sour” milk. When you warm your milk in the microwave you are in all likelyhood killing any beneficial enzymes and bacterias, so I would not expect your experiment to work and it could possibly lead to an overgrowth of bad bacteria. I ditched the microwave years ago, I seldom miss the convenience, though it did take a while ;.) BTW, the cream you took off the top will be fine to use for butter, that is the way they used to do butter, taking it from soured milk. Remember, the butterfat of the milk is where the anti-bacterial properties are located, so you should never skim your milk unless you are about to make butter or some kind of cultured product that calls for skimmed milk. Skimmed milk without the butterfat is what farmers have traditionally fed to their pigs to fatten them. Makes sense when you think about it since milk is made of of sugars, and the butterfat allows your body to metabolize and use for fuel. LOW FAT IS BAD! The school lunch program won’t even allow more that 1% for school kids. The USDA is broken and needs to be thrown out. Carrie, I totally agree with you about the direction the FDA and the scientific society in general are taking. Their result can be seen through the state of health of our population…. and we want to export it!! Personally, thanks to a naturopath, I discovered the GAP way of nutrition. With condidence, I’m now back to natural products, like raw milk and doing my cultured vegetables and yogurt, surfing the web to find recipes and encouragement. I’m glad I found this site and you, Carrie, who think the same way. I wouldn’t mind if the site gave you my e-mail so we could communicate even better. Carrie, you are so right. It makes me cross how wrong headed people can be about what is healthy. Low fat anything is bad. We NEED fats. Raw milk is healthy and pasteurized homogenized milk is not. Why don’t people pay attention. Karen, I hate to tell you, but by putting it in the microwave for even a couple of seconds, you have killed everything good in the raw milk, and also denatured the proteins so that it is very harmful to your immune system. I think if you do a little research on the web about microwaves, you will get rid of the thing. I have not used one in 20 years. They are illegal in several countries in Europe. It really is not worth a little convenience. I agree. No one should use a microwave for anything. Not even to boil water. Wretched appliance. Gave mine away years ago & have never missed it. Buy a convection oven for faster cooking. I prefer to slow, low heat cooking. Even on the grill. I agree about the microwave I have never cooked anything in mine, but I do use it to heat my wheat pack for my knees, back etc. Hear hear Debbie, after my mother and I got rid of our microwave we immediately noticed the difference. The microwave is one of the worst inventions ever created. I feel bad that my mother, being a high school teacher, is forced to reheat her food at school using a microwave. She’s not able to use a toaster oven in her room because of the possible fire hazard, but at least it’s been removed from the house so she doesn’t eat reheated microwaved food as often. I am wondering what difference you noticed when you got rid of your microwave. Regarding the microwave question: My understanding is that tests were done using water that had been heated with different sources. They heated water over a gas stove, an electric range and in a microwave. They let it cool and then tried to germinate seeds in the water. The ones in the water that had been heated on a gas stove grew fine, the ones with water heated on an electric range were slower and looked weak, and the ones heated in a microwave didn’t grow, they just rotted. So it’s a simple experiment one could do at home that shows that there is something happening at a cellular level with the microwaved water that isn’t beneficial. I find that it’s really quite easy to heat leftovers in a pan on the stove and then wash the pan. For me the ‘extra work’ is worth it for my health and well-being. I’m sure you killed a lot of good bacteria by putting in the microwave. Why on earth would you do that? Don’t you have a stove? Hi Julie , I used to make yogurt in a slow cooker but it didn’t turn out well, and wasted a lot of energy because it had to be on the whole time. Then I started making yogurt in MEC pure clay pots that i got as a gift, it’s an excellent yogurt maker. I use raw or pasteurized milk, heat it till tiny bubbles form on the surface and let it cool down to lukewarm then add live culture from the previous batch and let it incubation. I do not add any artificial thickeners. No fear of metals or glazes leaching into the milk because the pure clay is 100% inert. I got mine from Miriams Earthen Cookware (online) and they also have detailed instructions on making the best yogurt! When you make yogurt in the slow cooker, the purpose of the slow cooker is NOT for it to be on the whole time — that is probably why it did not work out for you. The purpose of the slow cooker is merely to preheat it only and because its ability to hold in the heat or to be a good insulator. For regular yogurt, heat whole milk — never ultrapasturized (I am here to read about making raw, so I haven’t made that yet. This is just for regular milk) to 185 degrees F. Stir frequently to prevent milk burning on the bottom. When your milk has reached 185, remove from heat and let cool down to 100-110 degrees F. Your crock pot should be preheated at this point on low setting. Your 1/2 cup of store-bought, full-fat yogurt (or 1/2 cup from previous batch) should be sitting at room temperature as well. Now, pour milk into crockpot (preferably through a sieve to get out any milk bits) then stir in your 1/2 cup yogurt well. Now, unplug your crockpot and get a few large towels to wrap around it to keep the heat in and let it sit for up to 12 hours. If your house is cold, you can put the crockpot in a closed oven. This works well for me. I see that you don’t use a crock pot anymore, but maybe someone who is looking to use one can benefit. For raw milk yogurt, I don’t recommend turning it on at all – just letting it sit, bundled, in a warm spot in your kitchen. Some cooked milk yogurt recipes encourage you to turn the slowcooker on. Wow, excellent timing! I just started my first batch of yogurt in my new dehydrator this morning. It’s kind of experimental though. I have goats that I milk. Instead of heating the milk up, I just brought home my fresh warm milk, added a good plain yogurt to it and put it in mason jars in the dehydrator set at 100. What do you think? Think I totally blew it by just using body temp milk instead of heating it? Where was this information when I was young and feeding my children……….wait, I’m still feeding some of them at lunch time. This is a wonderful website. I am a dairy farm wife and have an unlimited supply of raw milk from healthy cows. I’ve been married for 46 years and never made yogurt. A dear friend and neighbor made me some yogurt with some of our milk and I am hooked forever. My husband is a beekeeper and one of my sons and his family make beautiful maple syrup and various confections including maple sugar. Guess I’ll be busy developing goodies. I think this website should be paid by the health insurance companies for saving them health care costs, because informing the public about healthy natural foods prevents illnesses that cost lots in medical care. They should reciprocate. The next thing I’m going to try is homemade cream cheese to make cheesecake with maple sugar. My daughter-in-law’s is fabulus even with storebought cream cheese. Do you have a list of things that yogurt can be used for? I can’t eat a gallon of yogurt. Say, Alice; instead of some recipes, how would you like to have my address? I would forgo eating anything else until I’d eaten the whole gallon of your yogurt! I’ve only been able to make raw milk yogurt once, since my supplier’s cows have stopped giving enough for her to sell. But that stuff was absolutely nectar of the gods!! I live in town, or I would certainly have at least a cow or a goat for my own fresh, organic milk–and some chickens, for some free-range eggs, too. You’re right about the insurance companies, too. They could save huge amounts by encouraging people to come here. I’ve nearly repaired all the damage from the stage 4 cancer–and the chemo & radiation that killed it. Then, with help from informational websites like this one, I completely got rid of the diabetes I’d acquired a few years after the cancer. My doctor is stunned at the difference in me (and my test results), over the last year or two. She would probably have a stroke if she knew how much fat I’ve been getting (although I still lost weight) from the fresh cow’s milk–and the fact that it’s raw! Ha! But I eat by most of the principles on this website, and haven’t been this healthy since I was a kid (who drank raw milk then, too). If you want a use for the yogurt, though, I use a lot of it over berries, and when I can’t stop myself from having a little whole-grain cereal, I use yogurt instead of milk, too. Raw milk and honey from your own farm? Heaven! Alice, do you live in the Charlotte area? I have some family that live there that are looking for Raw Milk. If you live close to the SC/NC border, you can come to SC to purchase raw milk. I get it at a farmer’s market in Greenville, SC for $6.50/gallon. I can’t believe you can get raw milk for $6.50 a gallon! Here in CA, it’s about $16/gal!!! Don’t be too jealous, but here in MO we buy our raw milk from an Amish family for $2.50 a gallon. I am super jealous! I buy my raw milk for $14/gallon in southern CA. I tell you what, I won’t specify where I live, but I travel to SC specifically for raw milk–have been doing so for 4 years. $4/gallon at the farm where we purchase the milk. We are big fans of South Carolina raw milk around here! I am going to the kitchen to try this tonight. This is the most accessible, non-intimidating tutorial for yogurt. I have a gallon that has already soured, and I don’t particularly love it in a glass, but I’m eager to try yogurt with it. Thanks for the informative tutorial. One question, can I just use my Greek yogurt as a starter and not use the thermophilic starter? Marly, you can use your Greek yogurt as a starter but it won’t make the home made yogurt thick; you’ll have to strain it for thick, Greek-style yogurt. I like to make my yogurt in the oven with the light on. The light provides just enough heat to set up the yogurt. I’ve also played around with adding gelatin to thicken it a bit. I’m still working on that. Does anyone have a recipe for cheese made with souring milk and baking soda? It ends up the color of cheese whiz and makes a nice, spreadable cheese that’s great melted on veggies for the kids or straight off the spoon. It does involve cooking the milk but most uses for souring milk do so I’m not too worried about it. Rachel, I think you are looking for something called Cup Cheese or Amish Cup Cheese or Amish Schmear cheese or Amish Wedding Cheese. I use to thicken my lower fat yogurt with powdered milk (I think I used around 1/4th cup or so). I’m making my 2nd batch of yogurt with raw milk. Needing to experiment, also, to get the right texture. My question is this: In step #1 of your instructions, you said to heat the milk to 110 degrees. Most instructions say to heat it to 160-180 degrees in order to pasteurize it because the bacteria in the raw milk will eventually overcome the bacteria in the yogurt. In your experience, has this been an issue? Thank you so much for your answer, and thanks again for a wonderful tutorial! I only heat my milk to 80 degrees. The kefir & yogurt bacteria I use will only multiple between 72 & 78 degrees. Been doing it for years without any problems. Make sure your jars & lids a sterile. Pour boiling water in them, drain, invert on paper towel to cool. I was wondering if I could use kefir grains or actually freshly made kefir as my yogurt start. Sounds like you use the kefir as well. Can you give me a more precise recipe? Thanks so much! I have a Sous Vide Supreme machine (what you could call a water oven). I put 3 quarts of raw milk (I could fit 6, but we couldn’t consume that much, there’s only 2 of us) with 2 T of Fage yogurt in each quart into the Sous Vide at 105 degrees for 12 or more hours. It is the easiest thing that I make, and everyone is amazed. I do strain it, though, because we really like the thick type of yogurt. I heartily recommend the Sous Vide Supreme, not just for yogurt, but cooking meats and vegetables, too! I use the whey in my garden as a soil conditioner. The plants love it! We don’t eat grains at all, so this is how we make sure there is no waste. It seems canning jars would work in it for yogurt, but would you be able to cook anything else? Please note that calcium dissolves in the whey. That’s why cheese has so little calcium. Why not drink the whey too, so you get the calcium. I had never heard of a water oven or sous vide before your comment. Very intriguing. I imagine they’re pretty energy-efficient too, right? I love the idea of using whey to condition the soil. Great idea! I love room-temperature yogurts. Piima is our favorites as it has such beautiful applications in the kitchen. To clarify, I don’t call for heaiting raw milk to 180 degrees in my thermophilic yogurt instructions because doing so would kill all of the beneficial bacteria strains and desirable enzymes. In the notes at the bottom of the post, you’ll find that we do address the issue of wild strains found in the milk overtaking the strains in the starter. I recommend either maintaining a pure seed starter or purchasing a new starter every month or so. How exactly do you mean by “maintain a pure seed starter”? I would expect just to save some yogurt from my previous batch, but can it go bad if not used in a certain time period? Yes, you can use a few tablespoons of Greek yogurt as a starter for culturing your own raw milk yogurt; however, make sure it is additive-free. That means no pectins, sweeteners or other additives. It should be primarily milk and active bacteria. I think given your situation (culturing at 100F and not heating the milk) that you might want to pursue a mesophilic starter culture for more reliable results. These include a lot of Scandinavian cultures such as viili, piima, filmjolk etc. These bacteria do better at lower temperatures. I love your site! I belong to a raw milk coop, so recipes like this one are just perfect for me! Great post! This has been on my to do list for a long time and it’s reminded me to get back to making yogurt. Have you ever cultured the yogurt for 24 hours like the SCD sites recommend? I’m wondering if that is meant more for pasteurized milk based yogurts since raw milk already digest better. My yogurt maker heats to 125F, do you know if that still maintains the benefits of the raw milk? I use the milk at cow temperature and starter from a previous batch or commercial live-culture yoghurt. I do not heat it at all. I put it in a large bowl in the oven with the light on. I strain it to thicken it, and use the whey to bake bread. It makes terrific yoghurt and fabulous bread! How long do you put it in the oven with the light on, Pegi? Love your website Jenny. Anyone have experience with their raw milk separating into curds and whey before turning into yogurt? This has been happening every time and I’m getting really discouraged. I’ve heated to 110 and have a dehydrator for maintainnig that. I’ve also tried using different yogurt starters (from store-bought) whole/plain/organic yogurts……but it happens regardless. Any ideas? Megan: Your milk may not be fresh enough, i have read that 5 days is the oldest it should be but haven’t timed it myself, older than week is definitely scetchy. Yogourt if allowed to continue growing will turn into curds and whey, which can be made into soft cheese, but not before turning into yogourt! Your milk has just curdled and there is, to my knowledge, no going back. If there is a solution i would be happy to know as i have the occasional surprise of 2 liters of cheese and whey rather than yogourt, immediately upon mixing in the starter, though it seems every time the milk was just too old. I only culture it for about 6 hours and it has not separated in that time. I think that it has to do with how old the milk is. I have made gallons of yogurt, all exactly the same way, and have had this happen only once when I tried to culture some milk that was going sour. Time of culturing was suggested as a culprit, but I always culture mine for at least 24 hours and have never had a problem (except for the previous mentioned time). I always gently whisk my starter yogurt into a bit of the warm milk before shaking it together with the rest of the milk to be cultured. Don’t know if this helps, but I hopw that you find a solution! My friend accidentally discovered a solution we were both having with our raw milk yogurt separating. On the rare occasion it didn’t, it was thin. She forgot hers and left it in her yogurt maker for 18 hours and it turned out perfect. I have tried that since and mine worked as well. 8-11 hours before just did not do it. I was heating my pot before adding the milk and this was “burning” it and leading to unpredictable results (based on how quickly I added milk to the pot). Now I put the pot on the countertop, make sure it is COLD, add the milk to it, and heat the milk on low (2 on my range which goes to 10) while gently stirring. It takes longer to heat but the milk isn’t being damaged. Megan, the same thing keeps happening to me. I strain out the whey and am left with a measley cup of yogurt. It is not economical for me to spend $5.50/quart on raw milk just to turn out one cup of yogurt. I’ve asked my friends about it and they never seem to have this issue. We use the same milk and Salton yogurt maker. I have halted my yogurt making until I can figure this out. I’d love to hear any suggestions! Pegi, do you just substitute the whey for water in your bread recipes? That is a great usage of the whey that I could keep up with. I always have so much more whey than yogurt at the end of the process. The reason your yogurt keeps separating might be related to two factors: 1) how vigorously you mix in the starter or 2) how long you allow the milk to culture. Whisking the starter into the milk to vigorously can cause a separation like the one you describe and so can culturing for too long. So maybe stir gently and reduce the fermentation time and see how it goes. i’ve got some packets of freeze-dried yogurt starter that I picked up at the store. They work great when I’ve used them in the past (but at the time I wasn’t using raw milk…). Will they work fine with raw milk? Lindsay from Passionate Homemaking recommends adding some non-instant milk powder or gelatin to help produce a thicker raw milk yogurt. Do you see anything wrong with this practice? I don’t know anything about non-instant milk powder. The handful of times I’ve made raw yogurt, it’s turned out pretty curd-like; great for smoothies, but not so great for just eating on its own. I’d be curious to try your practice of adding cream, but unfortunately don’t have a source for raw cream right now; my dairy recently stopped selling cream and most other raw milk products because the Colorado state government said they were in violation of the raw milk laws. I hope your dairy isn’t having any similar problems – I know you live in Colorado, too. Thanks so much for this recipe. I’ve been wanting to make raw milk yogurt but couldn’t find a recipe…this is great. My milk is heating right now. I’m dehydrating nettles so the yogurt will fit in the bottom of the dehydrator…multi-tasking. I wish some of you ladies lived in Eastern Oregon…I have a milk cow and sell the milk for 3.00 a gallon, there’s not a great demand for it, so that’s the going rate. I was appalled at Christina’s 5.50 a QUART…that’s terrible. We also have pastured hens and I give away the eggs as there isn’t much demand as alot of folks in my area raise chickens. But, we sure do eat well!!! Wow, I’d love to live near you! We pay $6/gallon (if we buy 5+ gallons at a time & drive an hour to get it) and $2.50/doz for pastured eggs. I wish i lived near you too! We pay $7/dozen for pastured eggs and through our herdshare, $16.00 gallon. Beverly, do you live near LaGrande? Man, I pay $10 a gallon for raw milk in the Portland, OR area.. I also pay $3.75 a dozen for eggs.. when I can find them. And we pay a whopping $13 a gallon for it. (In Colorado.) Man… we’d love to live near you! Beverly, I wish I lived next to you! Our raw milk is 7.99 a quart here, pricey but worth it. I have been wanting to make yogurt for a while now… project for tomorrow! Wow! $6 and $7.99 per QUART!! I only pay $4 per gallon, and get my free-range eggs for just $1.50 per dozen! I feel so lucky! I don’t think Missouri allows the selling of raw milk, either. That’s just insane, isn’t it? It’s against the law, in most of the states, to give your family something healthy to drink–how can that be right? Don’t even get me started on our big-scale agricultural industries. I live alone, and can now go through an entire gallon (with cream) every week–more, if I had it. I seldom bought pasteurized milk from the store. I’m going to guy some plain greek yogurt the next time I’m at the store, and start making raw milk yogurt, too. Thanks, everybody, for the wonderful advice. It’s so nice to know I’m not alone in this. My husband and I just got back from eastern Oregon – from a funeral sadly. We live in Arkansas. I used to live in Oregon so some of my family is there. Regarding yogurt – this is one dairy product that I’ve not tried yet after decades of milking goats and cows. Cheese, butter, kefir, etc. – yes. Yogurt, not yet, even though I love plain yogurt made with whole milk. I’ve got a small crock pot (well, smaller than the really big one that I usually use!) that a quart jar would fit in very nicely. I’m going to try that with the raw cow milk/cream – put the warm water in there and see if this works. We sell our raw goat milk for $6 a gallon. It’s not legal to sell raw cow milk here (yes, I know, STUPID!) but I’ve seen people sell it for $4 a gallon and be glad to get that. Cream and all. Anita, I live in AR also. Where can I get raw milk for $4 a gallon? I would love to know this. Hey, it’s been a while since ya’ll posted but I have a couple of Jerseys and sell milk for $5.00 a gallon, I have to sell it for “pet use” but hey, it’s your business what you do with it after purchase 🙂 I live near Fayetteville, AR. contact info is on my website. Salad dressing.. I use yogurt, balsamic vinegar, stevia, olive oil and YUM!!! Every day… I never tire of it and I get protein from it as well. You can add pumpkin seeds for even more healthy goodness, but I put mine on my ice cream instead. I just put my first batch of raw milk yogurt to culture overnight! I have a Donvier yogurt maker that I bought at a thrift store a while back. It holds just seven small glass jars but it has worked well for my previous yogurt (which I always heated to 160-180). This is an exciting experiment for me… I will let you know how it turns out. My kids will let ME know how it turns out! I have some really good probiotics in powder form, i use it as a starter for culturing veggies-do you think i could use it to make yogurt???? I read somewhere that you can freeze commercial yogurt in ice cube trays to use as starter over time. I keep not getting around to making more yogurt before I run out of the last batch or it gets too old, and then I have to buy a whole quart of plain yogurt just to have the 2 Tbs for my next batch. Do you think that would work? And since I’m using raw milk, I would have the pure starter problem after awhile anyway. Hey Rebecca – yeah you can just freeze commercial yoghurt – I made a litre of Easiyo, froze it into ice cubes, and now it’s perfect for bringing out when one gets old or I muck it up. I also read that to keep the starter for longer then stir the freshly made yoghurt before you take a sample out – someone said the yoghurt at the top is different to that at the bottom (by the end of the fermentation) so mixing it lasts longer. Of course that’s not going to change the pure starter problem with raw milk.. but it’s worked well for me with pasteurised milk so far. About to make my first raw milk yoghurt today – crossing my fingers! I’ve made yogurt from pasteurized milk with good results. The pasteurized milk yogurt that I make stays good in the refrigerator for at least 3-4 weeks before it spoils. It gets more tart but that is about it. Thanks for the info that raw milk yogurt will not turn out as thick. With its creamy consistency I had to experiment a little but finally made a good yogurt with the raw milk. After less than a week in the refrigerator, it developed an unpleasant yeasty, beer-like smell. At $5.50 a half-gallon, I don’t want to have spoiled yogurt going to waste. What is causing this spoilage and how can it be avoided? Whey makes great, fluffy pancakes. I use it in place of buttermilk. Also I’ve heard that ricotta cheese is made from whey. We had 6 Jersey cows on our farm and we made lovely thick yoghurt with our unpasteurised milk. I cannot understand why they say that the mik today is unable to make thick yoghurt.. We would also skim off the cream. We found that it depended on the strain and the length of time left to mature. If you heated the milk more the yoghurt would be more acid as well. Oh once In NIgeria, my starter culture died. My cook used the seeds of a baobab tree and lemon to remake yoghurt. I was blown away. I wish I had written down the recipe. Does anyone have an opinion on Bob’s red mill sweet whey powder? I used a couple spoonfuls in my raw milk yogurt and it was super thick which was great but it worried me that maybe I was not suppose to do that. What do you think? Forgive me if you’ve answered this already, but can you recommend a yogurt maker? Are they pretty much created equal? It sounds like they make the process much easier. I LOVE my yogurt maker. It does make the process easier, and if you make yogurt frequently enough, it’s worth having one. I have a Salton yogurt maker like this: http://www.amazon.com/Salton-YM9-1-Quart-Yogurt-Maker/dp/B00004SUHY It came with a plastic insert, but I use a 1-qt glass mason jar instead since heating plastic gives me the heebie-jeebies. I just purchased after much research, a Euro Cuisine yogurt maker. They guarantee that it will not heat the yogurt above 110-112 degrees and mine didn’t. If it did, they wanted it sent back saying it would defective. Most other yogurt makers heat the yogurt way above that and since I want to do raw milk yogurt, this one is exactly what I was looking for. Doing it in my oven with the light, or in my crock pot just didn’t get me consistent results, but so far my new yogurt maker does. I’m eager to try these room temp starters too; been doing bulgarian and greek. “110° Fahrenheit (about 43° Celsius)” is no longer raw. “Heated Milk Yogurt: A Quick Tutorial”. Heating milk from a ruminant such as a cow to 110° Fahrenheit tips the delicate balance within the symbiotic microcosm of this particular fluid. 101.5° Fahrenheit is the healthy body temperature of a cow. The highest that core body temperature will ever rise is 104° Fahrenheit and this heat will only ever be generated in the rumin. Some hold opinions or beliefs that such increases in temperature to 110° Fahrenheit are negligible. This is not the case. Such temperature increases will absolutely affect any interdependent relationship between the enzymatic structure and bio-available nutrients for such liquids. This has negative consequences for a human consuming such foods. Especially over any lengthy course of time. Ingestion of such a food can lead to imbalances and reduction in thyroid function. This is an even truer in already compromised states of health. Those in fair functioning health or with sturdy genetic constitution may not notice any effects. It does not suggest however that there is not one. Natural bodily hormones can easily mask symptoms for many years. Working with individuals has taught me to implore deeply into the sources of food that are sought for my clients. I have discovered time and time again, those who believed they were consuming “raw” yogurt were in fact consuming something heated. When necessary changes are made (either by informing the source of this processing, locating another producer or having it prepared themselves), noticeable health improvements are generally immediate and observable. Heated milk (above a ruminant’s maximum functioning body temperature) is an inferior food. This reflects in the health of individuals consuming such a food over periods of time. Thank you for taking care and attention to contribute an article like this. I simply post this in hopes that you may give consideration to these points. It may be very important information for individuals to know. I am now totally confused on how much to “warm” my raw milk to make raw milk yogurt. I’ve seen everything from Mother Linda heating to 180, to yours at 104. I also read loads of reviews on yogurt makers and all of them start with warmed milk, but then during the 12 hour process, heat the yogurt up very high, so I’ve avoided buying one and am just doing it wrapped in a kitchen towel, and sitting in my oven with then heat off of course. So, how do you make yours? Thanks for any info. So far, mine is coming out fine, but I wonder now about the benefits? I found a yogurt maker through culturesforhealth.com that does not heat the yogurt culturing past 110-112, which most others do. I made my first batch with raw milk yesterday and this morning after being in the fridge overnight, still didn’t thicken as much as I hoped. It’s good, just runny, so will make smoothies out of it and try again. The recipe using half raw milk and half raw cream is way too rich for me, but others might like it. It is a bit thicker, but raw milk yogurt is just plan runny, good but runny, not to most American’s likes. (my hubby for one!) I’ll keep trying! I used a Bulgarian plain yogurt from the store, no additives at all, for that batch. Now I’ll try a starter culture and see if I can get it thicker. Oh, the name of the yogurt maker is a Euro Cuisine; terrific. I was confused by Mother Linda’s also. Too high to be raw, correct? I just attended a Raw Milk and Your Immune System presentation by the owner of our California’s Organic Pastures, a raw milk dairy and he talked over and over again about this. Anything over about 110 begins to kill off the good bacteria and enzymes, so I even stop heating my raw milk around 100-105 just to be sure. He also said that anything heated violently or quickly to super high temps also destroys the protein structure of milk making it even worse on the digestion and immune system. 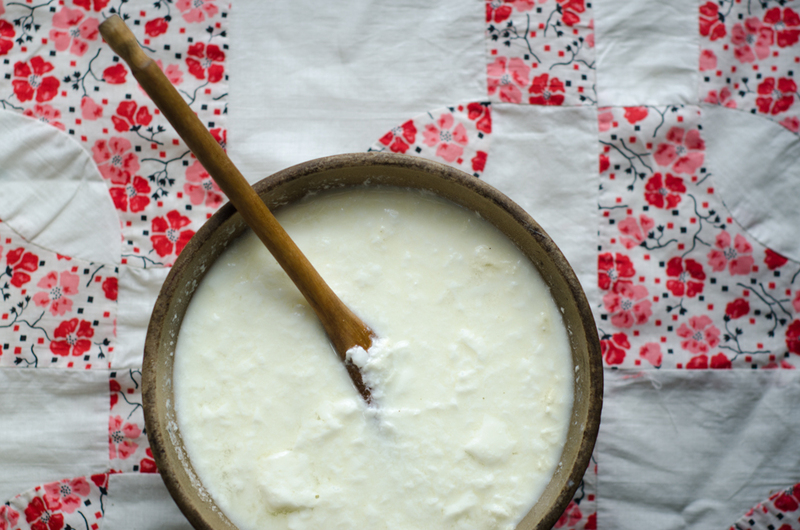 Do you happen to know any good recipes to make true raw yogurt, kefir and cheese that you can share with us. You seem to know a lot about the subject on raw milk and I thought maybe you might have some good recipes you have tried and can share. I wouldn’t put too much weight on the fearsomeness of not heating milk to 110. It’s nonsense. First, the enzymes do remain intact. Second, this is the temperature at which the beneficial bacteria in thermophilic yogurt are best cultured. Lastly, this is how a true yogurt is traditionally made. exactly. people are asleep to these realities..but thats the truth right there. Could you please cite some sources for your information? How long does raw milk yogurt last? I’d like to make it in half gallon batches (ease when purchasing milk) but I don’t want it to go bad. The fresher the better is what I read on one of Mother Linda’s posts. After two weeks the good bacteria begin to die off. I make small batches, weekly. I used raw milk and did not heat it all….that’s right correct? Also, I bought my yogurt starter kit online at one of your resources, can’t think of the name right this second. But on the package it calls for 1/4 for every 1 to 4 gallons….not two tablespoons like your tutorial…so I am confused. It sounds like you’re using powdered starter or direct-set starter rather than greek or bulgarian yogurt as your starter. If that’s the case, follow your package’s instructions. I was reading through your instructions and you comment on keeping a pure seed starter for raw milk yogurt. How do I do this? I am new to making yogurt and I can only consume raw dairy. Pasteurized dairy wreaks havoc on my ability to breath. Can you help me with this? I heat raw milk to just under 110 degrees and use a powdered starter. then I pour into a couple of sterilized glass bowls, put on a heating pad set on medium and cover all with a towel for about 10 hours. I usually add a bit of powdered milk as that seems to help with the creaminess and then strain to make a greek type yogurt. I also use the Salton Yogurt Maker Quart size, that I found at a 2nd hand store for $2.00 in 1997, when I clicked your link Jenny I about fainted …$289.99 new???? I have treasured that yogurt maker and now it is even more precious! I have experimented with temps etc using pasteurized milk. Local dairy folks are rare here and look at me askance as a former state employee asking for “pet milk” so needless to say I am limited in my sources here in Montana. My daughter brings me gallons of whole milk from a creamery across the mountains and it is lightly homogenized, so the cream comes to the top eventually. If I heat the milk to 105-110 degrees and use about 1/2 cup of powdered goats milk I get a creamy curd with very little whey. When I made yogurt back in MN I used raw goat milk from Nubian goats and the texture and taste were excellent. A few years ago I was suffering from some intestinal problems and found information on the SCD diet. Culturing the yogurt for 24 hrs or more was the magic trick to resolving that! Now I make a 12 hr yogurt and a 24 hr milk kefir using that creamery milk and they are wonderful! My parents are Swedish, so I was blessed as a child to have piima and filmjolk as part of my diet, and lots of raw milk since we had a dairy farm in northern MN. Mom and I were fond of goats, my dad not so much (could have something to do with them eating and butting his side mirrors on his work truck) so we had goats milk briefly when he worked out of town. To his credit my dad did say that he noticed the effects of goat milk on the skin. Rosy cheeks and smooth skin are a side effect of goats milk. I can always tell when someone has benefited from goats milk by that glow! Love the post and happy culturing! I am going to hug my Salton! I follow the ingredient and heating instructions but have a slightly more low-tech means of keeping it warm: I do 3 quart jars at a time, put them in an insulated picnic/lunch bag with a hot water bottle, cover the quart jars and hot water bottle with a towel, and zip the bag closed. I refill the hot water bottle after 12 hours, and after 24 hours the whole thing is done! I do the same thing with a small cooler. It’s cheap, easy, and takes no electricity. If I’m just making a quart or two, I’ll add an extra jar of hot water at 110 degrees, cluster them together, and cover with a towel. In the hot summer, this takes 20 hours, and in the middle of winter, I’ll leave it for 36 to get a good thick creamy yogurt. I’ve never replaced the hot water bottle because I find it does just fine and I hate to jiggle things around. Nancy’s yogurt makes the best starter I’ve ever tried, even thickening up my goat yogurt to a nice, creamy consistency. Is there any reason for only making a quart at a time using this method? Can I use half gallon jars or gallon jars? I think it is because the fresh yogurt goes bad faster then the store yogurt with preservatives and such. Unless youhave a big family and would eat that much yogurt on a short time such as a week or so I am gatehring it is better to make it in smaller amounts more often. My question to the group out there is that most yogurt is too sour and bitter for me… In store ones I only can stomach the sweeter ones… IS there a way to make the homemade stuff on the sweeter side? mix in a few tablespoons of honey, a splash of vanilla, and some pureed fruit b4 letting it sit. will make more today. Cecilia, if you don’t want the added carbohydrates of honey, or to add fruit, you can use some stevia. It’s safe to use, unlike sugar and artificial sweeteners. It’s been used for decades in Europe without any reports of health problems. I’m diabetic (or, more accurately, just somewhat insulin resistant, since my blood sugar is now back down to normal), and use it all the time when I want something sweetened. Tried this a month ago and ended up with three very sick kids. Not sure what I did wrong. I wrapped the jar in a heating pad for a little longer than recommended…maybe 14-15 hrs. Really would like to they again but my husband is leery! I make raw milk yogurt every week in my 7-jar yogurt maker. Love it but it does come out somewhat lumpy, so I’ve started dumping the entire load into my smoothie blender and that gives me lump free easily drinkable yogurt which I consume with gusto. For lunch I make Doogh, a middle east drink of 1/2 yogurt and 1/2 Perrier (soda water) topped with a dash of Sea Salt. Try it you’ll love it, especially in hot weather. Beats Ice Tea! Okay. I’ve been messin’ around with making yogurt now for months and here’s what I’ve learned about raw milk yogurt. It works, with the 110 degrees etc. and all but it is very runny. I use it that way for smoothies and if I strain it, end up with great yogurt but only half of what I began with. I do save the whey for fermenting, but if I make yogurt every week and strain it, that’s a lot of whey! (I’m giving a quart of it away at our WAPF meeting this Sunday because I have so much). I love the idea of how nutritious it is, etc. but it is expensive to make. I found on Mother Linda’s site something of interest. According to Mother Linda, you can heat raw milk to 160-180 and not destroy some of the “good stuff,” and your yogurt will come out much thicker and you don’t need to strain it unless you want a real Greek style yogurt. I don’t know where Mother Linda gets her facts, but she says it’s a lot lower temp than commercial makers use. I feel if I’m using good raw milk from grass fed cows, then at least I’m getting all those benefits even if heating it to 160. After all I am adding back live active cultures and then not heating above 110. My yogurt maker is a Euro Cuisine and I’ve tested it many times. I never goes above 110. Most other makers heat the yogurt too high. If you’re heating your milk to 160 to 180 degrees, you’re no longer making raw milk yogurt. Pasteurization begins at 145, with high temp pasteurization beginning at 161 F and UHT pasteurization at 275 F. Not all nutrients are destroyed by pasteurization, CLA is not, for instance. But food enzymes and beneficial bacteria are destroyed. The reason scalded milk makes thicker yogurt is because those food enzymes have been destroyed; food enzymes make for seriously runny yogurt. But you’ re definitely not getting all the benefits of a true raw milk yogurt. Still, if it works, it works. As long as you’re getting food enzymes through other sources and take raw milk and cream through other means, you’re in good shape. I have recently began to make my own Kefir (from Real Kefir Grains) while I completely love and understand the benefits of Kefir I am struggling with the fact that there is really no replacement for the spoon-ability of yogurt, Sooooo, I am attempting my 1st Batch of yogurt that I is based with Kefir (homemade, 36 hour, Raw Milk Based Kefir) I strained out my kefir Grains and placed apx 2 Cups of raw Kefir in a a pan and added 2 capsules of Jarro-Dophilus Pro-biotics and while whisking slowly heated to a temp of no higher than 140 F and maintained this temp for precisely 20 minutes. i than placed the mixture into a Ball Canning Jar and placed Jar into the oven with the light on. So far what I have observed is a clear separation of what appears to be cream and then whey and then ____? So i guess we shall see what the end result is in the next few hours. If you heated the raw milk kefir to 140, you will have killed any bacteria in the kefir and the bacteria in your starter culture. Kefir is not thick. If you want to make raw milk yogurt, follow the instructions as they are written. If you want to make kefir, follow the instructions here: https://nourishedkitchen.com/milk-kefir. There have been several failed attempts to make anywhere near raw yogurt. I am very frustrated and have stuck to making only Kefir (for right now) I will update again in a few days I am going to try some other ideas and suggestions by others. I had noticed that my yogurt would set up less and less the longer I used my own starter. I’m glad to know that I’m not just incompetent and that it happens to other people! I do not have access to raw milk…could I follow this recipe using organic whole milk from the grocery store? Thanks! I’m sorry to say I didn’t read through all these comments for the answer to my question. I see the instructions say one of the options is a yogurt maker. I just bought one recently and am planning my first foray into yogurt making next week. I read somewhere else that even if I’m using raw milk to make the yogurt, using a yogurt maker will kill the enzymes. Did I just waste my money? Sorry. I read some of the more recent comments, and I see that a higher temp with a commercial maker will kill the enzymes. But one comment says the Euro Cuisine only heats to 110 degrees. I got the Euro Cuisine, with the seven little jars, so for the moment, I’m going to assume that will leave me with Raw Milk yogurt. Not sure how to test the temperature, but I’ll try to figure that out. Initially, will be using some of a raw milk yogurt as a starter, but have ordered a Bulgarian yogurt starter. I’m fine with the runny yogurt, but may order a Greek yogurt starter if I want it thicker for things like popsicles. Let the learning begin! Thanks for this site. I was so happy to find your answer to my question, is it necessary to heat milk to 180 degrees before cooling and adding yogurt starter? I will try your idea of heating my raw, unpasteurized and nonhomogenized milk to only 110 degrees and then immediately add the starter before letting it rest. I have been making homemade yogurt successfully for a few years now by simply placing the pan the milk heats in into the oven with the pan lid on and covering it with few towels (I insert the lowest rack only into the oven and turn on the oven light before starting to make the yogurt.). After six hours, It is ready to be placed in the fridge. Thank you for your wonderful website. Here’s a good trick for your starter. When you make yogurt and are filling up the jars, fill up a little 1 cup canning jar, this will keep your culture good for a month or more as long as it’s unopened. Then you have a pure uncontaminated culture ready to go when you want more yogurt. As long as you can keep your husband/kids out of it, my husband likes the cream on the top and went thru and skimmed all my yogurt jars once. Very interesting posts – I’m having a problem with “grainy” yogurt. I’ve made it several times – always the same way – twice it has come out very grainy in consistency. It’s not bad – still tastes good but I prefer a smoother texture. What about grainy yogurt? I’ve had this happen a number of times. I am trying to make sour yogurt. I come from Iran and there the yogurt is sour. I have purchased bulgarisus starter and a yogurt maker. The first batch I made was not sour yogurt at all. How can I make yogurt that is sour? i use raw milk, heat slightly (110), about 1/3 cup of dried goat’s milk powder (from tropicaltraditions.com), greek yogurt starter and a capsule of very good quality probiotics. the yogurt is thick and creamy, delicious! Aimee, I would like to try your formula. How much milk do you use? Is it raw? (I prefer raw bc it is easier for e to digest). How long do you culture for, and do you transfer it to the fridge right after? Do you strain it? I am a raw milk addict, but rather than make yougurt, I make KEFIR (much healthier than yogurt) which is so easy using my yogurt maker as my kefir maker. I take 2-qt mason jars, add 1″ of kefir from a previous batch in each jar, then wrap each in a hand towel and then place side by side in the yogurt maker. Then place the plastic dome over the jars. Then turn on the maker for the max setting of 8-9 hrs. At the end remove the towel wrapped jars and leave on the counter for 4 hrs, then refrigerate. Makes perfect kefir everytime! I use the previous batch as starter for the next. If the kefir comes out lumpy, I smooth it in my blender, Sometimes I blend in frozen blueberries with a bit of Stevia for a lovely drink. I would like to strain off the whey to make yogurt cheese, and to use the whey in fermenting vegetables. Do you think that even though the raw milk has been heated a bit to make the yogurt, the whey is still active with probiotics, and will ferment? Or should i strain off some whey first, and if so, how? I am on batch 3 or 4 of raw milk yogurt and loving it. However, I would like to try to improve my technique so others in my household will love it too. My yogurt comes out very thick (after pouring off the whey) and a little grainy. Am I culturing it for too long? Would it be a good idea to blend it in the Cuisinart after cooling it? 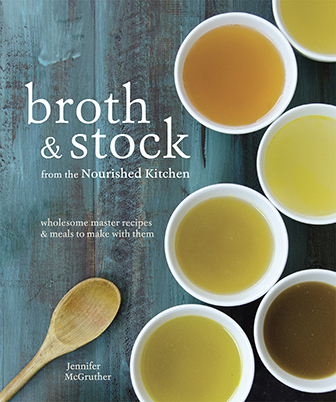 Have been reading kitchenstewardship.com… perhaps I need to add less culture or keep temp at 100 instead of 110? I use my convection oven so the temp is very consistent. I do this too and drain it, have lots of nice whey too, but don’t process it in the food processor, too violent, just take a whisk and whisk it smooth. It’s wonderful; smooth, thick and creamy! covered jar) surrounded by 110 degree water and covered by 8 hours. hoping I can fix it and make it more chunky. It tastes tangy and yummy. Thanks! I still need to get with it and figure out the kefir thing. Can’t wait. Nope – you can use strained yogurt as the starter. I often do. the reason raw milk yoghurt is runnier than traditional yoghurt is more likely to be because denaturing the milk proteins by scalding the milk produces a thicker curd. If you strain yoghurt to make it thick then you take out the majority of the probiotic goodness in the whey. That is why it is more difficult to make yoghurt using strained greek yoghurt as a starter. My friend forgot her raw milk yogurt one day and “cooked” it for 18 hours. It turned out great. I have tried that once with success also. Rich, creamy, no whey. Love, love, love fresh warm yogurt. I heat my milk to 110, then whisk in Green yogurt. I then pour the yogurt into glass jars and set them on my heating pad. This is a heating pad that doesn’t automatically turn itself off. Set temp to low, cover with a towel and wait 8 to 12 hours. Yum. Sometimes I have a problem with my yogurt being grainy. Sometimes it’s very smooth. Anybody have any ideas on why it get grainy? I raise dairy goats and have been making yogurt for about 18 years and have tried many methods and many kinds of starters and right now my latest and most successful method is using an electric roasting pan. I make yogurt 2-gallons at a time in glass quart jars and 8 of them easily fits in a roaster pan. Raise the tempurature of the milk to no more than 110 degrees. Put the yogurt in a medium-size bowl and add a bit of milk and stir till smooth. Add a little more milk and stir again and then do it again, getting the yogurt thin. Now slowly pour this into the milk while stirring constantly. After all the yourt mixture has been stiired in, stir another minute and then pour into quart jars. Cap tightly with the metal caps that come with the jars. Place the jars into the roasting pan and add enough 110 degree water as full as possible and cover the pan with its lid. The lowest tempurature registered on the dial is 150 degrees but I have learned that half way between off and 150 is about 108 degrees and I have mild, yummy yogurt in about 7 hours. I test for doneness by tipping a jar to see solidity and then refrigerate where the yogurt will finish firming up. So when making the yogurt from raw milk do I stir it at all during the sitting process? Do I need to keep it at 112 degree’s the whole 6 hours? I had a question – how long does the yogurt keep in the refrigerator? It came out so delicious! I am lactose intolerant but can eat aged cheddar cheese and Greek yogurt. I have recently been making my own Greek yogurt from pasturized milk and can tolerate it very well. By chance I happened upon information about the virtues of unpasturized milk and will try to make yogurt from that. I was wondering if anyone else here is lactose intolerant but able to drink raw milk? I want to try Kefir too but have been afraid to because of mr intestinal issues. I’m fortunate that one can buy raw milk here in Maine, even in the grocery stores. It’s expensive but being healthy is worth it. Carolyn – I am just now reading through the comments to make raw milk yogurt, and just read yours… I am also lactose intolerant, but I have NO problems at all drinking raw milk. From what I’ve read, lactose needs lactase to be able to be digested, but lactase is fragile and killed during pasteurization. So when you drink raw milk, you are getting both the lactose and the lactase needed to digest it. It’s amazing, too… so delicious! I hope it’s working out for you! Also, I think yogurt is lactose-free across the board – raw or pasteurized. kefir is millions of times more beneficial than yogurt. kefir can be made at room temp, but buy kefir grains, not inferior, freeze dried cultures. the bacteria in kefir proliferates in the intestines more than that of yogurt, plus it has billions more of the good bacteria than yogurt. raw milk makes ‘better’ yogurt than cooked milk, but the heating ALWAYS changes the natural state to something else, less natural. If one wants to gain the full health benefits from cultured foods, and notice a difference within a few weeks, cultured, organic cabbage and or kefir is the way, but these ‘processes’ must be done to perfection to enable the health benefits. You say milk must be heated to make raw milk yogurt. I discovered it cultures without heating. I add the culture and let it sit on the counter for 8- 12 hours and we think it tastes good. Are we missing something by not heating the milk to 110 degrees? Through my local farmers market, I can purchase raw whole milk yogurt but we cannot purchase raw milk. I would like to make my own yogurt using RWM yogurt as a starter but would have to use pasteurized milk. I can’t always get to the market which is one day a week and then sometimes the vender doesn’t make it that week. Is it an added benefit to use RWM starter to pasteurized milk or would it be better to purchase a starter to get my own batch started? There’s no real benefit to using raw milk yogurt as a starter for a yogurt made from pasteurized milk. I’d stick with whatever’s easiest. What am I producing and drinking when I age my raw milk with no starters or heating? I have been making a kefir-tasting sour milk drink by placing newly purchased raw milk in a jar, covering it with a cloth, and leaving it for 24 hours, stirring a couple of times during that period, and drinking. No cultures added. No heating. No shaking. No separating. No straining. No nothing. It produces a creamy, tart/sweet substance that looks and tastes like yoghurt or kefir. What am I making? You are making bonny clabber. without kefir grains, that is just sour milk. you are missing out on the massive boost kefir offers. Hi , I am just starting to explore the world of ferments and cultures(thank you for your inspiration , tips and recipies Jenny :)) and just got some raw milk and put it in a sterile jar and left on the bench for 48hrs , it looked like it had seperated so i began to drain as per instructions but i dont think i had left it long enough . So i poured it all back into the jar to seperate again , will this work now it has been all swished up or should i just start from scratch again ? Did you add a starter? I have an easy recipe for making yogurt. I heat one gallon raw milk to 110 degrees and remove from the heat. Remove about a cup and add 2 tablespoons of cultured organic yogurt to the cup and stir. Add to remaining milk and stir well. Pour into 1 qt mason jars and cover tightly with lid. Put in cold oven and cover jars with a kitchen towel and leave the oven light on for 12 hours. remove after the 12 hours, cool on counter for about an hour and refrigerate. Perfect yogurt every time! I have been making raw milk yogurt for the past 2 years by heating the yogurt to 105 and adding commercial yogurt (fage) and a bit of powdered bulgarian culture to it. I put it in a 2 quart glass casserole and put it in my warring yogurt maker. I ferment for 12-16 hours. I have always had good results during the spring and summer but as soon as it starts to get cooler outside (maybe when we turn the heating system on…) my yogurt starts to get slimy! It still tastes alright, but we prefer the summer texture. I have no idea what causes this. We get raw milk from our local dairy and the milk we get is always from the same day as the day we use it. Also, the dairy has a reputation of being very clean. We live in the Northeast, but the temperature in our house in winter is exactly the same as it is in summer with the air conditioning on. I thought maybe the problem was caused by cold drafts so I got a low powered (60 watt) reptile heat lamp to bring the temperature up a few degrees but it did not help resolve the sliminess. Does anyone have any ideas? Cristin – where in the Northeast are you? I am in CT. Interesting reading of the homemade yogurt. I live in Ga. You cannot sell raw milk here for human consumption but you can sell it for pet consumption! I will be trying this homemade yogurt. My Mother has some issues with her stomach and such and I think she would benefit from homemade yogurt! When ya’ll talked of strainning to make it thicker, what are you refferring to? Straining it during or after fininshed? If during, how many times? What do use to strain it through? fermented cabbage will sort your mums gut issues out in a few weeks (if done correctly). dairy is not healthy full stop, unless raw, and even then, its still hard to break down unless its milk turned to kefir. Rowan – where do you recommend getting kefir grains from? Also – can you give directions for making kefir and fermented cabbage – or provide a link? It’s hard to get raw milk around here – in the heart of dairy country in upstate New York. There’s only one farm nearby (within 1/2 hour drive) that provides raw milk and when the cows aren’t giving, we aren’t getting. 😉 But I did just discover a non-homogenized milk at our food co-op that is heated to only 120 degrees, the lowest temperature allowed for sale in a store, or so I’m told. If this really is the case, do I still have to heat it to 185 before making my yogurt or can I get away with heating it only to 110? I’ve made a few batches of yogurt with pasturized milk and it doesn’t need a yogurt maker. Just a place in your home that stays warm… for me, it’s the top of my fridge in the kitchen. For the pasturized milk, I heated the half gallon of milk and let it cool until i could keep my pinky finger in it without getting burned (which I’m sure is equivalent to around 110 degrees by the time it cools). Then I take out a cup of the warm milk, stir in the culture ( I keep a couple tablespoons of the previous batch of yogurt for my starter), add that mix to the rest of the milk. Then I put it in mason jars, put the lids on, wrap them up in 2 or 3 kitchen towels and put it on top of the fridge for about 12 hours. Works just fine… the jars are still warm from being up there when I take them down after the 12 hours of culturing! Then I wring out most of the whey by straining the yogurt through a kitchen towel-like fabric I have. Then let the thicker yogurt sit in the towel in the refrigerator, in a strainer over a bowl to keep catching the whey for a couple hours. Your amount of yogurt reduces to half after you’ve strain it, but it is thick and delicious! I use raw honey to sweeten. Thanks for the great post – worked a treat! How long will the yogurt keep for in the fridge? Any tips for maknig it thicker? Mine came out a bit thin! is what the term “Digital Single Lens Reflex” means. 16 GB for regular use as per requirement of the customer. So my yogurt is halfway though culturing. I was just reviewing recipe when I relized I doubled the ammount of milk, but not the starter! Can I add it now? Will it still work if I don’t add it? I sat out a jar of raw milk and in the morning it had the consistency of yogurt and tasted of a nice goat milk flavor yogurt. What did I create? I didn’t put anything in it at all. But it is fairly warm in the kitchen with it being summer. Did I somehow make yogurt. I am straining it out and plan to eat with fruit or in a smoothie. Also I tried making yogurt the other day, heating it to about 110 then dehydrating. It was a bit lumpy and definitely on the thicker side compared to the raw yogurt from the farm and had a slight cheesy yet favorable taste. Did I over cook it in the dehydrator? Also it was from thawed raw milk because I can’t buy fresh everyday more like once a month so I buy in large quantity and freeze. Could that be the reason? I haven’t gotten through all the post yet, but just realized that could share what I learned from all my batches that didn’t come out thick enough. I just used as buttermilk in recipes! Added a lot of flavor and texture and I assumed killed the good stuff but I didn’t have to throw away. Marg, If your yogurt is coming out too thin for you liking, just strain it! I make about 8-10 16oz jars of this recipe almost weekly, our kids LOVE yogurt! It is far too thin for my kids to eat as is, so I strain it with cheese cloth till it reaches a Greek yogurt consistency, and save the whey that I get as a result of the straining and use it in protein shakes, or for soaking! i just add the culture to the raw milk and let sit on the counter for a couple of days. then strain off the why. that’s so much easier than heating & trying to keep warm. it just takes a day longer in the winter. does it work if I don t heat the raw milk ? i d like to put it straight into the yogurt maker . Then you need to use a different style of yogurt starter. I made my first batch of yogurt using fresh, raw milk. It didn’t turn out as smooth as the yogurt I’ve made with store bought milk. Is that normal? Still tastes delicious though! I have been making yogurt for uears woth no problems. I have always used pasturized milk. I now drink raw milk and wanted to make yogurt. I jeated the milk to about 115 then let ot cool to 110. Put in my starter which was store bought plain yogurt with cultures as i alwaus jave in the past. Put on oven with light on to keep warm. Its been 10-12 hours. It os runny like a slightly thicker whole milk. Did i do something wrong? O can see amy fault in my process. Its the same as i have always done except i didnt heat to 180 then cool as with pastirized milk. Also i use a stainless steel pot with lid wrapped in a towel. This is the way I have always dont it. I know raw milk will be a little runnier but this is not yogurt. Its thick milk. Hi, I’ve only just been able to get BACK to raw milk . . . I’ve really missed it, and more importantly, my health has really missed it. I just purchased a few gallons of raw whole milk (it annoys me a bit if they sell raw cream separately, I know where they got it 🙁 Just my opinion, but if they are going to sell “whole” raw milk then it needs to have all the cream like it came out of the cow! Anything less, regardless of how “little” is STILL skim – /shrug sorry, just a pet peeve LOL) and decided to look into what else I can do with it – I already make my butter (not much of a cook so have NO clue what to do with the “buttermilk” or how to fix it so it IS more like cultured buttermilk). I’ve never made yogurt before but have enjoyed it when purchased from my raw milk dairy . . . So, when I came home yesterday from the dairy, 5 fresh gallons of whole raw milk and a quart of vanilla yogurt I decided to give it a try. . . a couple of questions I had/have that I could not find the answer for. . . .
How do I make it flavored? Vanilla being what I was hoping to be able to make. When do I add the vanilla & sweetner – after I warm the milk but before I put in the starter so I don’t over stir it? or after I take it out of the fridge and it sets up? Or before I put it into the fridge, after I take it out of my warm water bath in the crock pot? How important is it to keep the inside of the crockpot (oven, etc) at exactly 110 for the 8 – 12 – 18 hours it stays in there (the time thing is a bit confusing because it seems like every comment included a different length of time)? Once it comes out of the warm water bath (mine has what looks to be the cream on the top again?) should I stir this up and then put into the fridge? Or should I put it into the fridge to chill and set and stir it up after the few hours in the fridge? Do I need to strain it? And if I do, which part is the yogurt? The part that passes through the cheese cloth or the part that is left in the cheesecloth? Do I strain it as it comes out of the crockpot but before I place into the fridge or after it has chilled? Since I was stirring almost constantly, I added 2 tsp vanilla and 4 tsp Stevia. I remember reading to NOT over stir after putting the starter in or it would break down. Removed from heat. I used HOT tap water to fill the ceramic portion of my slow cooker up to the neck of the quart jar – laid a towel over the top and then placed the lid on that and bundled the rest of the crock pot with towels. I left the crock pot off, but checked the temp of the water around my jar with a cooking thermometer – using it to stir the water around so I would get a good reading. As soon as the water cooled to just under 100, I turned the crock pot on to High and using the thermometer to stir the water so I could carefully watch the temp, I brought it back up to 105 (didn’t take long just a few minutes) I also lifted the jar a time or two to make sure it didn’t get too warm on the bottom. Once the bath water was back up to temp I recovered with the towel, replaced the lid and bundled it back up. I did this 3 times during the 12 hours culture time. The mason jar was not lidded during this process. After 12 – 14 hours (I forgot what time I put it in, so there were a couple of hours over the 12 LOL) I removed the jar, it still looked like milk with a small amount of cream risen to the top, I took a small whisk and slowly blended that back into the rest of the jar, it was actually starting to nicely set. I placed into the lowest shelf, coldest spot in my fridge and left for about 3 – 4 hours. When I took it out and slowly stirred it again, it was YOGURT!! The texture was wonderful, it was not quite as thick as store bought but I was prepared for that and the taste was out of this world!! I’m almost afraid to make more LOL It cannot possibly come out as good heheh But I will, and I will try the suggestion of using 1/2 raw cream and 1/2 raw milk to see if that makes the consistency even thicker. 1. I did not over heat my raw milk, kept it under the 110 and closer to the natural body temp of a cow so as not to start killing the enzymes and bacteria. 5. I used good fresh raw milk and fresh starter, both were only 1 day old. Now, with all that being said my next batch is likely to come out just awful LOL but I will let you know! Hi Jenny, I’ve got my Cultures for Health Greek Starter and am super excited to begin my raw milk yogurt making following your instructions. However, Cultures for Health’s instructions found here http://www.culturesforhealth.com/media/docs/Greek_Yogurt_Instructions.pdf give some very specific instructions for activating the starter culture (see page 2 under Step 1) than what you give above. They go on to say one must do this every week to make a new mother culture and that you must never make yogurt using a previous batch – you must only use the mother culture. Do you have any thoughts on this? Thanks! I’m wondering if there is any way to make raw milk yogurt without using a dehydrator, slow cooker, yogurt maker, or special cooler? Perhaps there’s a way to use the oven? Any tips would be much appreciated, thanks! My raw milk dairy avoids legal problems by having customers join a club. You sign a contract that protects them when you join the club. Perhaps this would work in other states. If your raw milk source is having trouble you might ask them if the club idea will work for them? Thanks for the great post and all the helpful comments. I haven’t made raw milk yogurt yet, but will right away now. This seems like a silly question, but is there any reason dividing the milk mixture into 2 pint jars wouldn’t work as well as 1quart-sized jar? Yikes…something went very wrong! After 16 hours in the crock pot, the liquid in the jars is the same consistency as when I put it in, only there’s a top inch or so that is creamy, a middle layer of thin and cloudy, and a bottom inch of goopiness. I do know I overheated it initially–I was surprised that even with the flame on 2 (out of 10) it jumped to 130 degrees in about 5 minutes. Could that have done the damage and made it so it would not then set up properly? Also could not then get the plain Stoneyfield yogurt to blend in with the milk. Gotta get up the nerve to try again, I guess. The thin, cloudy liquid in the middle tastes like whey, so I’ll just mix it in with smoothies and baked things, and hope I’m getting probiotic benefits anyway. And hopefully, it’s not contaminated and we don’t get sick! I haven’t read all the comments, so you may have addressed this, but are you saying that when using a yogurt maker there isn’t any need to heat to 110* before starting a yogurt setting? I am using an InstantPot pressure cooker with the yogurt setting. Katie, It’s not necessary that the milk be up to temperature but it helps immensely. Haven’t used the yogurt function on the instantpot yet! Let me know howit goes. It’s worked well. The yogurt definitely came out runnier than desired, but when I strained it for Greek yogurt it came out to a nice consistency. I’m still new to the raw milk word, and my tastebuds haven’t quite adjusted to the difference. So, currently I’m having to cover up the actual yogurt flavor with fruit or cocoa powder to make it more palatable for me. Hopefully, I’ll adjust before too long. It worked well. I did heat the milk first. The yogurt definitely came out runnier than desired, but when I strained it for Greek yogurt it came out to a nice consistency. I’m still new to the raw milk word, and my tastebuds haven’t quite adjusted to the difference. So, currently I’m having to cover up the actual yogurt flavor with fruit or cocoa powder to make it more palatable for me. Hopefully, I’ll adjust before too long. I bought 2 liter of raw milk today straight from a farmer. Its in my fridge and I want to make yogurt. I have made yogurt from 2% milk lots but now I have raw milk and there us about an inch and a half of cream on top of milk. Should I keep this cream in the milk and milk yogurt? I use dehydrator for making yogurt. And can I just add starter yogurt to the raw milk and put it in dehydrator on 110 because I don’t have a kitchen thermometer anymore. I’ve apparently been using the “thermophilic” method (though I didn’t realize there were different methods) as a carry-over from when I used storebought, pasteurized milk. As heating to too high a temperature defeats the purpose of using raw milk I skip the heating step and simply add 2T of either storebought or homemade plain yogurt to 1 quart of raw milk in a mason jar, then leave it uncovered in my yogurt maker for 6 hours (ideally). The milk heats to 95-100F and usually if it’s undisturbed I get a thick, consistent curd. Lately however, either my curd and whey separate completely, which may be due to over-culturing; or it remains a liquid beyond the 6-hour culturing period. My most recent batch even became “fizzy”, and I’ll have to use it as buttermilk in a baking recipe and start all over with storebought yogurt. I read the FAQ’s on the first two scenarios, but why would my yogurt get bubbly? Even more, I’m wondering why a “starter” is even necessary when the milk itself contains the necessary flora found in storebought yogurt? If your yogurt became fizzy, it likely is contaminated with yeast. And, yes, a starter is necessary to preserve the integrity of flavor and texture of yogurt. If you are using only the bacteria native to the raw milk, what you’re making isn’t yogurt; rather, it’s clabbered milk or bonny clabber. I was given some raw milk, and decided to make some yogurt with it. You post is very helpful thank you so much! Just two tablespoons? Yay. Room for experimentation. Thanks! I just went to farm to get raw milk- I was so excited to find raw milk. I ended up buying yogurt instead. But when i got home , I found out the yogurt had only fermented for 6 hours. Is this still haps friendly? It’s okay for yogurt to ferment for as little as 6 hours. But I’m thinking you’re asking if the yogurt is GAPS-friendly, and I don’t believe it would be as GAPS-friendly yogurt typically cultures for 24 hours. A lot of lactose remains in yogurt only cultured for 6 hours. I was looking at a recipe that skipped the pasteurization step of heating the milk to 110. What is the thought process behind the heating to 110? This recipe just called for the heating of raw milk with gelatin in a crock pot in order to preserve the bacteria in the milk. You heat it to 110 F because that’s the temperature needed for the bacteria to culture effectively. They’re thermophilic cultures, meaning they proliferate best at a slightly elevated temperature. Can raw milk yogurt be frozen? According to directions above, you don’t need to turn on the slow cooker? You just fill with 110 degree water, cover with a towel and place it in a warm place. Would the warm place be a sunny place in the room? Also, would it work to use non-raw milk. ; just the organic milk at the store? Hello and thank you for all of your wonderful knowledge! About how long does raw milk yogurt keep in the fridge? And does that change if there are things like fruit added? It’ll keep a couple of weeks, and I recommend adding fruit when you eat it, not before. where are the sources for the Greek starter?? There are no links here? In the links posted above. Hi Jenny, thank you for all of your posts, I am learning so much! When I make my yogurt from raw milk, I have been heating it to 180 degrees Fahrenheit. Does this temperature kill the naturally occurring nutrients and vitamins in my raw milk? I’m glad to answer. Heating the milk will kill the naturally occurring bacteria, and may damage some of the heat sensitive vitamins; however, when you culture that milk, you’re replacing the bacteria and some of its vitamins. Homemade yogurt is best eaten within 2 weeks of when it was made. I realize that this post is a bit old, but hopefully I can still get my question out there. I used to make yogurt at home with my slow cooker but am currently in Northern Italy and would love to try the low heat yogurt method with raw milk from down the road. My problem is that I don’t have a slow cooker or dehydrator here. The farm where I buy the raw milk from sells the milk at a very reasonable 1 euro per liter, but their yogurt is much pricier so I’d like to go back to just making it myself. I have the little glass jars with lids that the farm sells their yogurt in (they make it in these), what’s the best way for me to make my own yogurt with their raw milk? Yogurt will not solidify in the fridge, but it should thicken slightly. If your making raw milk yogurt, it will be thin and watery because the milk proteins haven’t been denatured through heat. Have you ever tried this in an Instant Pot? Nope, I haven’t. I also have an older model of instantpot without the yogurt function. Is the heating nessesary ? Couldn’t I just add the probiotic starter kit directly into the bottle of raw milk? That way I don’t kill any of the enzymes and I know the bottle is sterile and it’s really simple. What is the purpose of heating it to 110 degrees? Yes, the heating is necessary. No, you can’t just add the probiotic starter kit. No, you won’t be killing enzymes. No, the bottle isn’t sterile. The purpose of heating to 110 F is because the bacteria in yogurt is thermophilic, that is, it’s heat-loving and it proliferates best at a slightly elevated temperature. You can make cultured dairy products at room temperature, if you use a mesophilic yogurt starter. Hi Jenny, I’ve been trying to make my own yoghurt, but it’s always too runny. If I hang it it tastes more like cheese and it has got little hard bits in it. You mention using a combo of cream and milk, could you give me a ratio? Also have you ever tried milk powder to firm up the yoghurt? Hi! I followed your instructions using raw milk. I brought milk (shaken to incorporate) to 110, removed a cup of heated milk & added 1/4 cup of fresh store bought yogurt. It curdled into a big glob, separating from the milk. I strained out the big glob, stirred the store bought yogurt really well & added 1/4 cup again. It didn’t curdle to a big glob this time but tiny grains, sort of like when you add spoiling milk to coffee. I went ahead & incorporated it with the heated milk & put it in the Dash yogurt maker. I will see how it comes out. Any idea of what went wrong?? Everything was fresh, I bought everything last night & made it this morning. I don’t know what I’m doing. It all looked so easy!! Help!! I would encourage you to re-read the instructions and method above, because you did not actually follow the recipe. You used the wrong ratio of ingredients, and added a step that was not included. I’m not sure what your question is, Theresa. You can culture raw milk yogurt from either mesophillic starter or thermophillic starter. This says to serve plain as a sauce…so does that mean it doesn’t firm up even a little, more like Kefir? The last 2 times I tried to make yogurt from raw milk I wound up having to use it as cultured buttermilk, however the milk I used was more than a few weeks old. I chalked it up to the naturally present bacteria had multiplied too much to make proper yogurt. I have very fresh milk now but don’t want to waste it on more liquid yogurt since I already have a fridge full! For the record, the recipe I used is identical to this. Hi Sue, Raw milk yogurt DOES NOT and will not produce a thick yogurt. Can you publish instructions for making raw milk yogurt without a yogurt maker or slow cooker? You have detailed instructions for making raw milk yogurt using a yogurt maker or slow cooker however the instructions with out these apparatuses appear to be incomplete. Can you help?